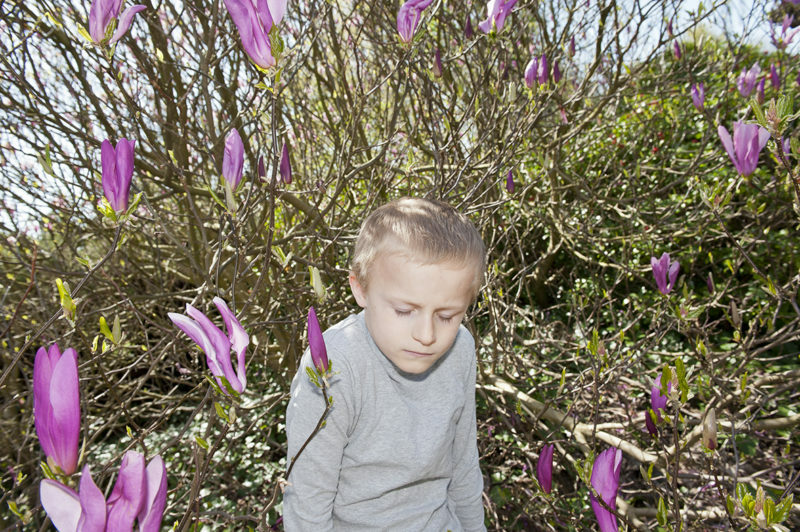 In her series Searching Eyes Dutch photographer Kiki Groot documents the first four years of the life of Mikey. Since Groot first met Mikey, when he was six months old, he showed worrying signs of overactivity and quick frustration in combination with high spirits and a remarkably high pain threshold. He wore a helmet because his head was growing disproportionally to his body, and he had the most intense eyes. When Mikey grew older, he became fascinated with Groot’s camera, especially with the flash. Groot decided to give him disposable cameras every few weeks and Mikey flashed away. Meanwhile, Mikey was diagnosed with ADHD, autism, Tourette syndrome, and developmental delay. He is attending special education, has few friends and lives in his own small world. Searching Eyes is a combination of both Groot’s own photographs as well as photographs made by Mikey in which he documents the world seen from his point of view. Taken together the project has resulted in an intimate search into the world of Mikey. Groot intends to continue documenting Mikey’s life until he will reach the age of 18. Kiki Groot (1967, NL) graduated in 2014 from the Fotoacademie in Amsterdam and lives and works in Arnhem.